Do you know any families or friends seeking a Christian, college-preparatory education? 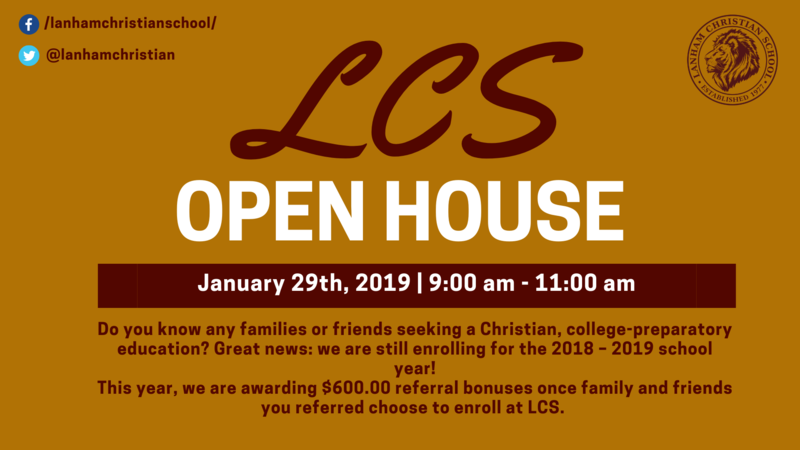 Be sure to invite them to our open house tomorrow, January 29th, from 9:00 am – 11:00 am. This year, we are awarding $600.00 referral bonuses once family and friends you referred choose to enroll at LCS.